A stadium shaped like Khabib's furry hat is being proposed by architects in Dagestan after the UFC lightweight champ's recent success. 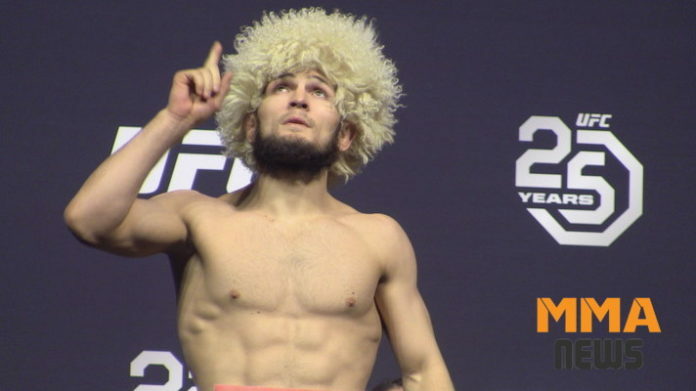 A stadium shaped like UFC lightweight champion Khabib Nurmagomedov’s furry hat, a papakha, could be coming to Dagestan. Bloody Elbow’s Karim Zidan reports architects proposed to build the 7,000 seat stadium and are awaiting necessary approval and funding for the project to move forward. The proposed plans for the stadium include gyms, training facilities, a hotel, and a museum that showcases Dagestani athletes. Khabib has not commented on the reports as of this writing. He is currently serving a nine-month suspension for his involvement in the post-UFC 229 brawl. Per a report from kp.ru, the new proposed stadium has created controversy amongst locals. What do you think about the proposed Dagestani stadium?